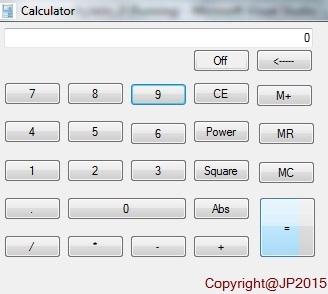 A basic Calculator program which is written in C# by using various Window Form Controls. 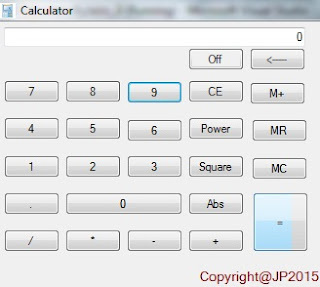 Calculator performs Addition, Subtraction, Division, Multiplication , Square Root, Power and find Absolute value on given input numbers. // Single event for all alphatbets.